Lenovo announced the next generation of the best-selling ultraportable laptop of 20101 – the ThinkPad X220 laptop – and the X220 convertible Tablet PC. These PCs give mobile business professionals the full performance and usability found in larger laptops, but in a super ultraportable design. The PCs run up to 75 percent faster than ultraportable competitors that use low-powered CPUs2, feature smart PC technologies for incredibly long battery life up to 24 hours3 on the ThinkPad X220 and sport a clean, revamped design with hinge-based latching and a giant touchpad in a thinner portable design. Additionally, they feature improved durability with wider drain-holes in the spill resistant keyboard and a 50% improvement in drop test performance4. The ThinkPad X220 offers up to 15 hours of battery life with a standard 9-cell battery. Battery life jumps up to 24 hours by adding the new ThinkPad external battery. The convertible tablet starts under four pounds with its standard 4-cell battery. When combined with a 6-cell battery and the external battery pack, the tablet can run for 16 hours continuously on one charge. Users charge the PCs on the external ThinkPad Battery connected to the PC or separately, and a charge indicator shows when the battery reaches a full charge. The “no compromise” performance experience continues with technologies that solve everyday challenges. For example, they incorporate several technologies for excellent voice and video conferencing, such as private chat and conference call microphone modes, keyboard noise suppression technology and a dedicated LED-lit microphone mute key. The PCs also keep corridor warriors connected longer with Lenovo’s new Instant Resume function. This function maintains connections during sleep mode for up to 99 minutes, eliminating the need to login and reconnect between meetings. And tablet users don’t have to worry about losing their pen with the new “never-lost-pen” technology. It notifies a person when he or she moves the tablet without the pen in the pen-holder. The inside of the new PCs reveal a cleaner, sharper design over previous models. 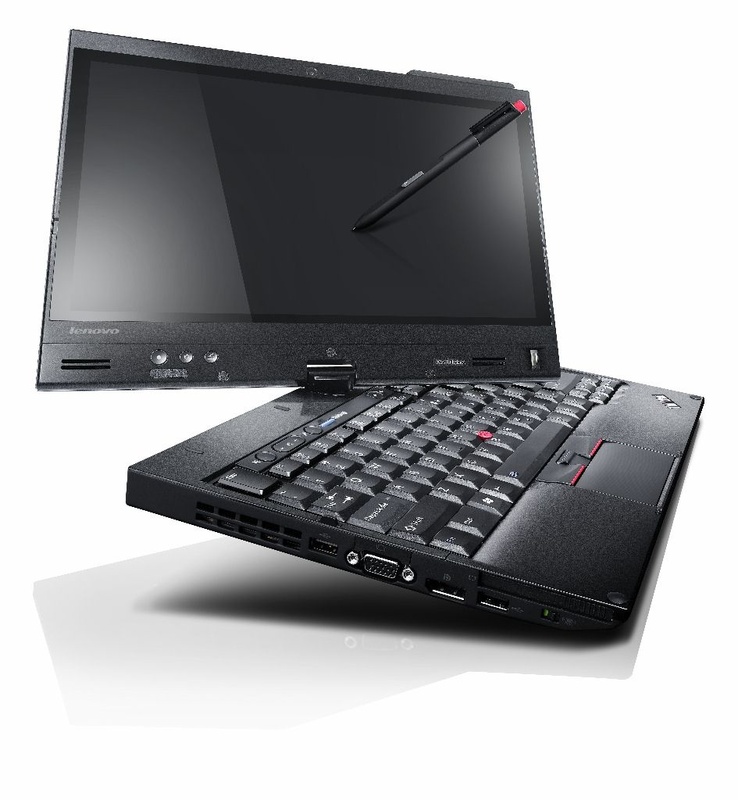 Both the ThinkPad X220 laptop and X220 Tablet feature a 12.5-inch HD screen and self-closing hinges that shut the PCs. This space-saving hinge design brings several key benefits: better antenna and speaker placement for stronger throughput, a 45 percent larger touchpad and a cleaner visual design. The larger, buttonless touchpad gives extra room for fingers to scroll, highlight and do multitouch gestures.